Copper gutters simply look elegant. If you’re on the fence about the material you’d like to use for your gutters, we’re here to lay out all of the differences between traditional aluminum gutters and copper gutters. Let’s dig in. 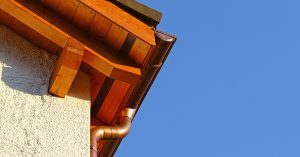 Why Opt for Copper Gutters? As we mentioned copper simply looks good. But the benefits don’t stop there. Here are the aesthetic and functional perks of copper gutters. Copper gutters make your home shine, and, since copper oxidizes to a green patina, they bring character to your home over the years. Most folks think that copper gutters simply look the best; and these gutters pair well with shingled roofs, metal roofs, and slate roofs. Regardless of the material of your rooftop, copper is an excellent building material. As far as functionality goes, copper gutters are the best building option. Like other gutters, copper gutters capture rainwater and divert it away from your home. But, unlike traditional aluminum gutters, copper gutters last for decades on end. With maintenance, copper gutters can last the better part of a century. On the other hand, aluminum gutters can last between 20 and 50 years, and their far more susceptible to damage. Now, take note, copper gutters do cost more than aluminum gutters, so you’ll have to weigh your options to determine the best material for you home and your budget. 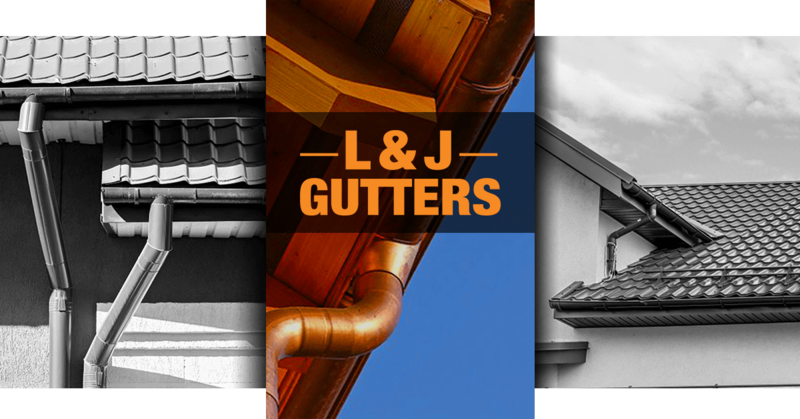 Here at L & J Gutters, we pride ourselves in building and installing the finest gutters around. Count on our Freeport-based company for gutter manufacturing and installation if you live in Walton, Okaloosa, or Bay Counties. Take a look at our client reviews, and find out the L & J Gutters difference for yourself! If you’re ready to get your gutters going, get in touch with us to earn an estimate!